The Syma X5C can be summed up in three words: Fun, Durable and Inexpensive. Let’s face it, this thing is a toy and it is built and priced like one. It’s very stable, thanks to its 6 axis gyro. 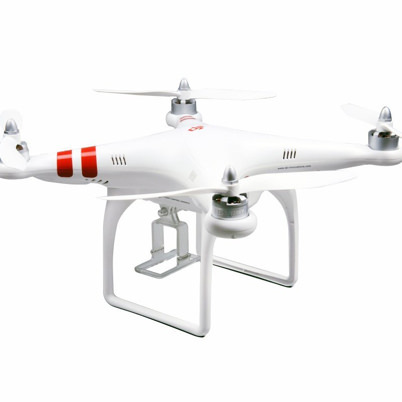 It also has about a 7 minute flight time and is really easy to fly. If you’ve flown helicopters, this thing will be a breeze. If you are learning and you crash hard enough to break something, it’s easy to find well-priced replacement parts. 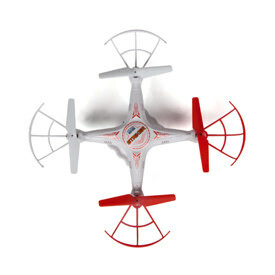 It also comes with four extra propellers, 2 clockwise and 2 anti-clockwise. Just like the X8C, the X5C uses brushed motors. 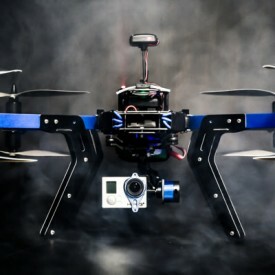 While this keeps the cost of the drone down, the motors burn out easily. Good thing you can get new ones for around 5 bucks. 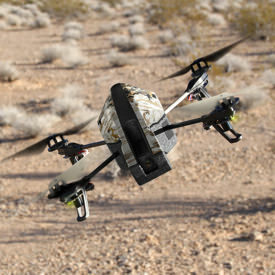 The Syma X5C Explorers is a very fun remote control toy. It’s perfect for what it costs. 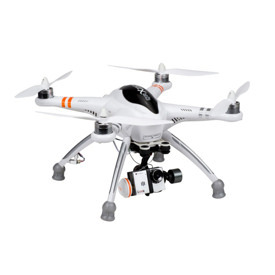 This is an ideal machine for learning to fly quadcopters. It’s light, so it won’t cause too much damage to whatever you may hit, and durable enough to handle it. 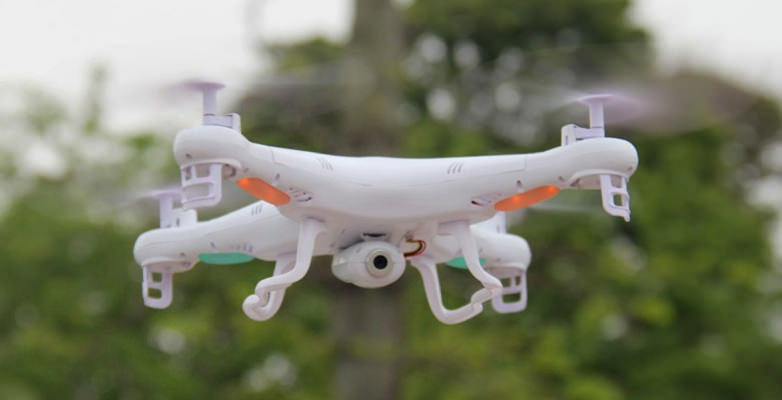 It has two flight modes, low and high. 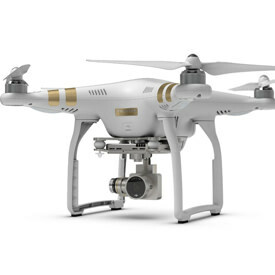 Low mode gives less roll and pitch, so the drone is more controllable for new pilots. High does the opposite and gives you a more dramatic roll and pitch making it move faster. You can fly it both indoors and outdoors, although I’d be careful flying it in any kind of wind. At about a quarter of a pound, one strong gust at a high altitude and you can kiss this thing goodbye. You get a pretty decent flight time with the stock battery, somewhere between 7 to 10 minutes. I would definitely recommend buying additional batteries so you can “play” longer. The biggest downfall, although not as drastic as the X8C, is the charge time. It takes almost an hour and 30 minutes to reach full charge. Hence the need for spares. Speaking of spares! One of the best parts about the Syma X5C, and any Syma product for that matter, is the availability of spare parts. 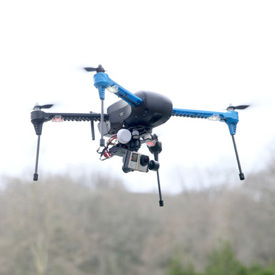 Anything you could possibly break on your drone can be fixed for very little money. This is good because the motors burn out on this model a lot. Syma uses brushed motors because they are simple and cheap. The only problem is that they tend to run hot. If you don’t let them cool, they will burn out on you. Luckily you can pick up brand new motors for less than 10 bucks. I recommend having at least 4 on hand; 2 “A” motors and 2 “B” motors. The biggest disappointments about the Syma X5C are the camera and that it lacks headless flight mode. However, they are offering it at a very reasonable price. 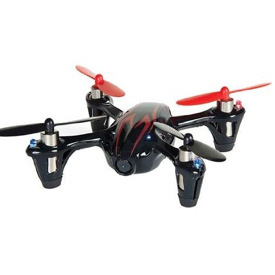 If headless flight mode is important, you can pick up the Syma X5SC for just a little more.